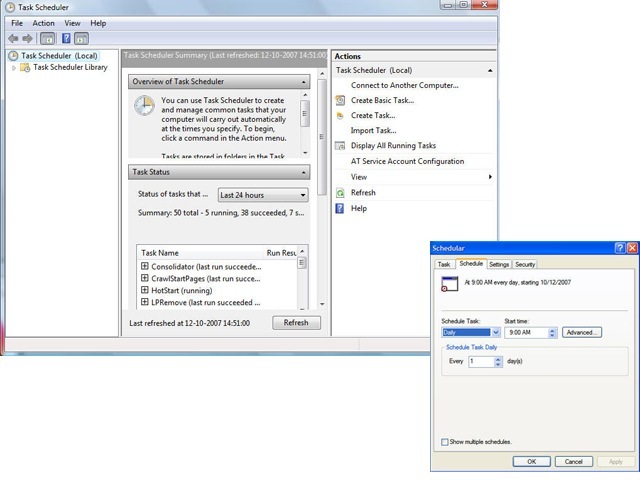 I was looking out for Task Scheduler in Vista and I happened to land on this Microsoft website where Windows Vista Task Scheduler is explained in great detail. It is completely revamped in latest version of Windows. 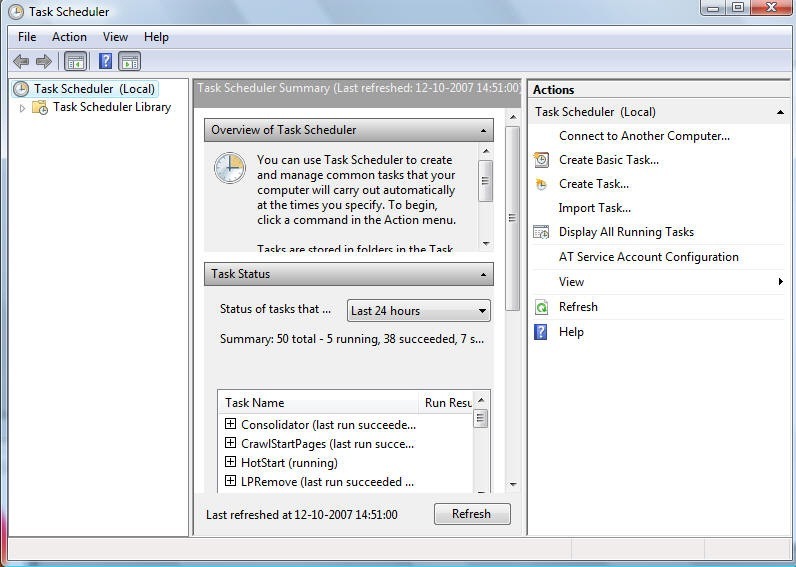 You can find it in Administrator Tools > Task Scheduler inside Control Panel. Location has been changed from Windows XP where it was in Root of Control Panel itself. The terminology of few features is changed and there are lot more new improvements and additions. I still remember the irritating Task Scheduler icon in Windows 98 which always appeared in System Task Bar even when you didn’t need it at all. Now here is a version which doesn’t provide option to add it in System Task Bar. There is an introduction of new types of trigger which are really interesting like when machine is idle (like system scan) and startup. Another feature which I liked in it is sequential execution of linked task which reduces the guess work. 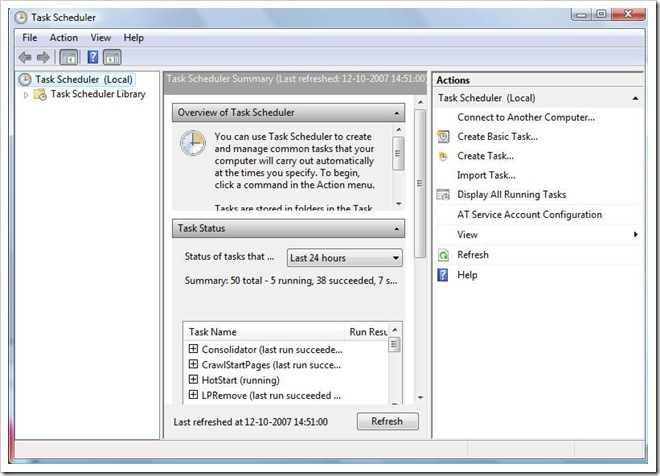 Previously, you had to schedule two tasks if you want to run one dependent on other but now, you can put second task as action to first task by selecting Action Type as Run a Program and you can even provide arguments for second task. More new features which can make you go for using this hidden and long-time neglected feature of Windows can be found over the source page. Can you tell me how to stop a message with an Information Icon that says “Navigation to the webpage has been canceled” It’s most annoying and usually appears about 25-30 minutes after i start the machine. Looks like you are using old version of software or a Trojan Horse has affected your system. That is the only case I can recall in which this problem occur.